Today AICN received a press release for "The Standoff at Sparrow Creek" that is having its world premiere at TIFF's Midnight Madness. Here is what the good folks at RLJE Films had to say about the film and the films poster which was released today to comingsoon.net. 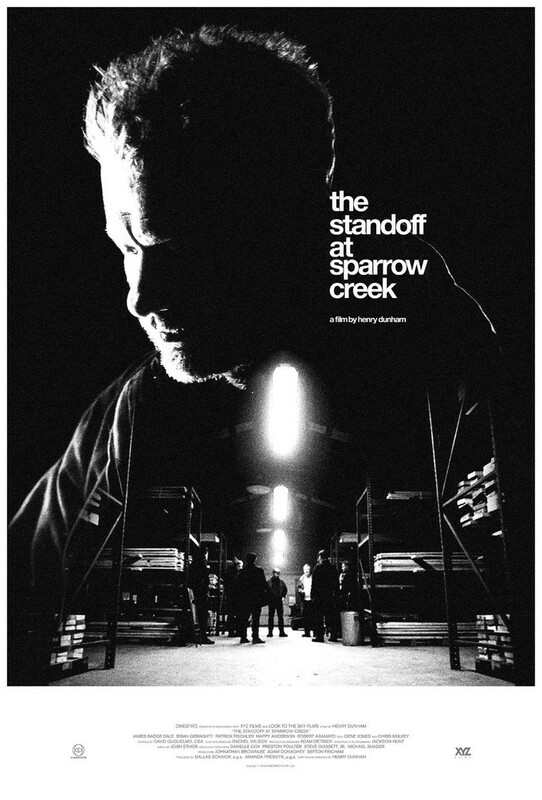 RLJE Films has acquired all North American rights to "The Standoff at Sparrow Creek," the upcoming thriller from CINESTATE and XYZ Films. Written by Henry Dunham who is also making his feature directorial debut, the film stars James Badge Dale (13 Hours), Chris Mulkey (Captain Phillips), Brian Geraghty (NBC’s “Chicago P.D”. ), Robert Aramayo (HBO’s “Game of Thrones”), Patrick Fischler (Showtime’s “Twin Peaks”), Happy Anderson (Cinemax’s “The Knick”) and Gene Jones (The Hateful Eight). The Standoff at Sparrow Creek will make its world premiere at Midnight Madness at this year’s Toronto International Film Festival. 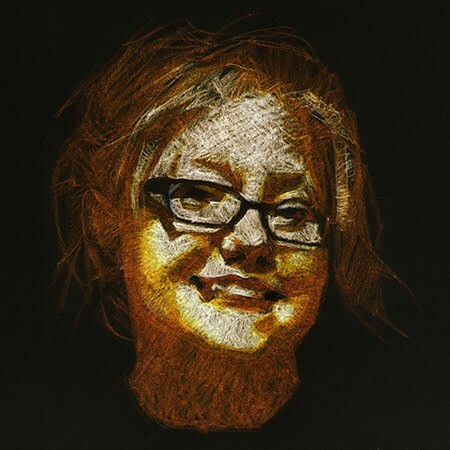 RLJE plans to release the film nationally in theaters and on VOD and Digital HD in early 2019. In The Standoff at Sparrow Creek, after a shooting at a police funeral, reclusive ex-cop Gannon (Dale) finds himself unwittingly forced out of retirement when he realizes that the killer belongs to the same militia he joined after quitting the force. Understanding that the shooting could set off a chain reaction of copycat violence across the country, Gannon quarantines his fellow militiamen in the remote lumber mill they call their headquarters. There, he sets about a series of grueling interrogations, intent on ferreting out the killer and turning him over to the authorities to prevent further bloodshed. 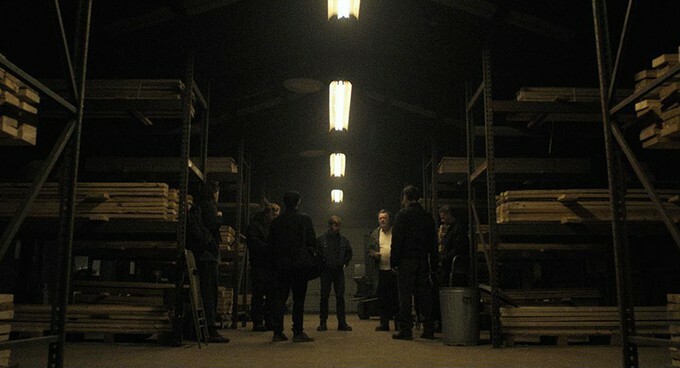 The Standoff at Sparrow Creek was produced by Dallas Sonnier (Brawl in Cell Block 99) & Amanda Presmyk (Dragged Across Concrete) for the Texas-based entertainment studio CINESTATE, alongside Sefton Fincham (What They Had), Johnathan Brownlee (Three Days in August) and Adam Donaghey (A Ghost Story). XYZ Films’ Nate Bolotin (Mandy) and Todd Brown (The Raid) executive produce, as well as Danielle Cox, Steve Gossett, Jr., Preston Poulter, and Michael Shader. Ward and Jess De Leo from RLJE Films negotiated the deal with Sonnier and United Talent Agency on behalf of CINESTATE and the filmmakers. XYZ Films is handling international sales and introducing the film to buyers at TIFF. "The Standoff at Sparrow Creek" will also be playing at this year's Fantastic Fest that begins on September 20th and continues until the 27th. I will have to try and catch this one, as I loved "Brawl in Cell Block 99" and "Bone Tomahawk" so I am hoping the producer Dallas Sonnier will strike cinematic gold again. The cast is strong, pictures from the film seem atmospheric and gritty, and the storyline seems solid. Unfortunately, I have not been able to locate Henry Dunham's short film "The Awareness" to watch or share or a friggin' trailer. However, seeing as the film made it through Fantastic Fest's and TIFF's rigorous vetting it must be good. Any of you out there in Geeklandia at TIFF and want to share y'all's perspective on this film or others? If so send us in a review and some pictures proving you're there!